A sunny Bank Holiday Weekend was an inspiration to invest a bit of time on Maldives Complete and revamp the Best of Maldives section a bit. With now over 300 distinctions, I’ve had to add yet another tabbed page (‘Service’) to hold them all. I split out sub-categories in a few areas like adding a ‘Sweets’ section for ‘Food’ and splitting ‘Drinks’ into ‘Soft’ and ‘Bar’. I added a new section called ‘Workplace’ distinctions since good management and workplace innovation are pet professional subjects of mine. What’s your budget? – Don’t ever say ‘Money is no object’ in the Maldives unless you are a billionaire. This is the single most important question to ask to start with and will narrow your search significantly (resorts vary in cost from £1,000 per week to over £10,000). How important is off-beach snorkelling? – This is also known as the “House Reef” question. You can snorkel on any Maldives island. But real snorkelling afficionadoes eschew the limited fish and coral life of the sandy lagoons for the thrill of the ‘main event’…house reefs that plummet from the shallows into deep open water where large schools of fish and forests of variegated coral fill the wall between land and ocean. The most active and enthusiastic snorkelers will often insist on a great house reef. Those who just want to try a bit of great snorkelling are happy with going on a few snorkel safari excursions. Extra cost – Typically about $500 round trip. Extra time and logistics for the transfer – Especially on the return leg where the resorts need to book lots of extra time into your transfer to make sure no weather delays have you miss your plane. Noise – You can’t even talk to your seat mate the small turbo props are so loud in the cabin (ear plugs are standard issue on all flights to reduce the irritation). Fear of flying – You pretty much had to get on a plane to arrive in the Maldives in the first place (unless you are on a cruise stop), but nervous flyers who can just about handle jet planes can find smaller planes a bit to unsettling. Children? – Some resorts actively cater for children. Other resorts (or sections of them like their water villas) actively discourage them (or a few even prohibit them). All Inclusive? – Some people prefer ‘all inclusive’ plans so they know what total costs they are on the hook for and don’t have to keep track of the extra charges that they are racking up. (38 out of 132 resorts offer all inclusive). Any favourite activities? – The old myth (and mystique) about the Maldives is that there is nothing to do. Now with over 120 resorts, there is something for everyone and virtually every activity and pastime are catered for. If you have a particular interest or hobby like kite surfing, painting or cigar smoking, finding the resorts that offer these will get you right to a short list of places that will offer these special treats for you. The answers to the first 6 questions typically will get you down to a manageable shortlist through the Maldives Complete Resort Finder. From there people use question 7 as a tie breaker or just surf the Maldives Complete Profile section to see which property most captures their fancy. Mo – Happy to help if I can. Where are you flying from? A browser through the database indicates that 30 active resorts have jet skis so that won’t be difficult to find. If your partner is concerned about “nothing to do”, tell her to glance at this page – http://maldivescomplete.com/maldivesv/Best%20Of/bestof2.aspx (and if there are any particular activities that strike her fancy, that will help to narrow down your search). A little help required. Me and my spouse are travelling for our honeymoon (3N/4D stay). The resort guide was indeed helpful, and we were able to find one in our budget. Only constraint, each resort is charging exorbitant price for airport-resort transfer and back. Any suggestion so that these high prices can be avoided, I mean any alternative way to travel to the resort at cheaper prices? Ankit – Apologies for the delay of response (I am actually travelling myself at the moment). It depends on the resort. Some of the medium distance resorts have the option of a seaplane transfer or a boat transfer (for example, you can get to Kuramathi by 20 minute seaplane or a 2 hour boat ride). Other resorts that are very far away (eg. South Ari, Haa Alifu) offer the cheaper alternative of a domestic flight. But if it is a resort that you can only get to by seaplane, the costs for the seaplane are always high. That’s just what it costs to fly these things. They are very expensive pieces of equipment and only carry a modest number of people across which to spread their costs. My husband and I are planning to visit the Maldives again after visiting Mirihi last June. Can you recommend a resort has good house reef and lots of fishes? Caroline – Probably the best way to get a short list is to go to the Finder section of Maldives complete and select “Resort”. Then you can filter on “House Reef” selecting “Distinctive” or “Very Good”. Be aware that (a) “Distinctive” means that some aspect of the reef is amazing, but other aspects might not be so great, and (b) most of the house reefs have changed (for the worse) dramatically over the past year due to global warming (sea temperatures are record highs) exacerbated by El Nino as well as the COTS epidemic. Hello. I am female traveling alone. I would like a suggestion for a place I can get to by boat that has great snorkling and possibly also a snorkeling trip near by as well. Not expensive where I can wear a swimsuit and possibly have a drink if I want. I will be there 3 to 4 days. All resorts will have “snorkeling trip near by” to the best snorkeling spots in the area. Depends on your definition of “great snorkeling”. For Maldives aficionados, that usually means a very accessible ‘house reef’ (one where you can get to in a minute from the beach) with lots of both coral and animal sea life. With the recent bout of warm seas (amplified by this year’s El Nino) and the COTS outbreaks, many reefs have been hit hard. If you want to “get to by boat” (which makes a lot of sense for a short stay of “3 to 4 days”), then you are pretty much limited to North Male and South Male atolls. Bruce – You indicate that most of the house reefs have changed dramatically (for the worse) the last year. We are planning a trip for March 2017 and I’m now concerned that given a great house reef with snorkeling is a must for my wife and I, the Maldives may not be the place to go…at least yet. Is the impact primarily to the coral or has the fish life also been impacted? We visited Biyadhoo in 2002 and found the house reef excellent. Wishing to go to a different island (and less dated), we are considering the following resorts: Vilamendhoo, Angaga, Angsana Ihru, Ellaidhoo and Eriyadu. Want easily accessible house reef with good snorkeling plus good dive center (will do some diving…but mostly snorkeling). For a treat, also looking at spending a few days at Mirihi or Kandolhu. Any suggestions on best islands (1 high end, 1 lower end)? Or should we wait another year or two? Thanks. Jim – All of the resorts that you have listed have excellent house reefs. As you note, with the impact of warm oceans and COTS, it’s hard to know really which have been the most effected. I generally think that the Kaafu atolls (near Male) have been hit harder (but none of your islands are there). I’m also wondering if island closer to the open ocean (ie. edge of the atoll) might get colder water and fare better? Just speculation. Most of the best house reef islands are traditionally well inside the atoll where (a) they are protected more, and (b) where the topology of the islands tends towards the small, island “dots” which male the reef accessible and have a drop-off. Bruce – Thanks for the input. Any other resorts that are in the price range of $300-$500/night that you’d recommend be on our short list (outstanding house reef + good dive center+nice beach)? Also, if we are looking at 2-4 days at a resort running around $800-$1000/night, with same criteria, any other suggestions? And does spending twice the money at these resorts actually give you twice the quality in accommodation and food? I don’t want to pay a bunch extra for amenities we’ll never use. It depends on what you mean by “anything fancy”. As the post describes, the range of budget in the Maldives is quite extensive. ‘Not fancy’ could still be thousands of dollars a night. What’s you budget? You mentioned “having a hard time choosing”…do you have a short list? First, thank you for the comprehensive Maldives analysis on your site, it has been very helpful! Thanks to your site I have managed to reduce the huge list of options to 5 resorts that -barely- accommodate our budget 🙂 I could use your help to make a final decision! Our top picks are: 1) Dusit Thani Maldives, 2) The Residence, 3) Velassaru, 4) Sun Aqua Vilu Reef and 5) Ayada Maldives. We are in our late-twenties and looking specifically for a water villa with pool. Privacy within our villa is very important, i.e. we don’t want that neighbors can easily peek at us. Also we would like well maintained facilities, doesn’t have to be high-end luxury, but we wouldn’t like it to look outdated or show excessive wear. Any advice? Also, I’m having a hard time deciding between all inclusive and breakfast only. With breakfast only, I’m scared about the price of everything else. How much can it cost on average per person per day to eat and maybe a couple of cocktails? With all inclusive, besides the added cost, I’m concerned about the quality/variety of what is actually included. One last thing: we are a gay couple, we are aware of the country’s views on this matter, and although we are not into public displays of affection, do you think we can still receive discriminatory treatment for staying together on a villa and such? Will you still recommend Maldives? Sorry for the long post and thanks again for the help! Of those resorts in your short list, my favourite is Ayada. Primarily for its reef which is the best of your list (though all the reefs have suffered damage from warming seas). Dusit and Velassaru are superb properties as well. I would recommend looking at the back area pictures of the rooms you are considering in the Maldives Complete Room Profiles to see if the privacy is what you are looking for. I think they have pretty decent dividers on the sides. The best thing to do is to look at the menu for the dining and think about your eating and drinking habits. My wife and I have huge breakfasts, then a snack for lunch (or a pina colada!) and then a nice diner. As a result, we don’t consume a lot on our third meal and we don’t drink a huge amount so half-board tends to suit us. AI is really designed for people who eat and drink a lot. That said, it is also easier on the mind because it is more convenient and you are not constantly thinking about how much something costs. Do not worry at all about being gay on a Maldives resort. I have many gay friends who have visited there regularly and have never experienced anything discriminatory. You will be fine. Take a look at the following resorts which have the most value priced over-water villas – Cinnamon Dhonveli, Embudu, and OBLU by Atmosphere. I would also give a look at Club Med Kani. Unfortunately, its over-water villas are a higher standard and are considerably more expensive and likely out of your budget. But the resort itself is full of activity and superb for a 12 and 15 year old (you will love it too). Thanks for this great blog. I am having hard- time choosing a place for me and my wife. We want some place quiet with beaches and with lots of animals. As we ain’t masters in swimming water sports are no for us. we’ll be staying for 3 nights(2N beach bungalow and 1N water bungalow)budget restraint and just want to enjoy the peaceful beaches. I would really appreciate if you could help me out. If you could help me out from the picks to take the final decision. 2.Kurumba: Highest quality. Very good for weak swimmers as it is surrounded by shallow lagoon protected by seawalls. Least quiet as near Male – so you will get periodic sounds of airplanes taking off and landing at the nearby airport. Most convenient as just a few minutes from airport. 3.Veligandu – Least convenient. I don’t know much about it as I haven’t been to it. Just starting my search. Looking for a water villa with excellent shore snorkeling/right from our deck…$1000 US dollars price…per night preferable. Can’t decide between boat or seaplane transfer…staying 10 nights…should we split between 2 locations? Good snorkeling is top priority. Thank you for directing us to some locations. 10 night split – Some people really like just getting into chill mode and once there not disrupting it all, but we found that after about a week, we were keen to explore a new reef, new resort, new menu, etc. It would be ideal if you could split your trip with a very nearby resort that would require just a short resort boat transfer. Transferring with a sea plane will eat up the better part of one day of your treasured holiday time. SOUTH ARI – You could do something like Vakarufalhi and Lily Beach (they are right opposite each other and both have superb house reefs). You might be able to manage Athuruga and Thudufushi (not only nearby, but same ownership so very easy to manage a combo trip). NORTH ARI – Halaveli, Kandolhu and Ellaidhoo are all nearby each other, all have great, accessible house reefs, Halaveli is a bit pricier, but Ellaidhoo is a bit more value range so it might balance out to something manageable. First, thank you for putting together such a website. The information available is second to none. My wife and I are thinking of heading to the Maldives in the first week of April, 01 – 08 April. I’m looking for overwater accommodation, all inclusive package, with excellent snorkeling. I’m an experienced snorkeler and diver (but after an unfortunate accident I am now unable to dive) and my wife is of more moderate experience and skill level so I would be looking for a resort with excellent reef snorkeling as well as a drop off. In terms of eating and drinking, we like to do both and preferably more premium drinks. Budget would be around the AUD$1,500 (USD$1,100 – 1,200) per night but could go higher to USD$1,400 – 1,500 for the right resort. Any and all advice would be greatly appreciated as neither of us have been to the Maldives previously. AUD$1100-$1500 is essentially the 4 star. Any other criteria to help filter? Have you tried using the Room Type Finder, filtering for AI=Yes and WaterVilla=Yes and seeing what comes up? Dear Bruce, Quick question: As a female solo traveler who doesn’t want to bump into too much honeymoon couple, where is the best island to hop in for about 5 nights? :). I would love the opportunity to go surfing, any water sports activities, probably diving (depends on the current as I have equalizing challenges..), snorkeling and just do nothing. The first resort that comes to mind is Club Med Kani. See my post here – http://blog.maldivescomplete.com/2016/08/01/best-of-the-maldives-singles-club-med-kani/. As the post says, they have tons of activities including surfing and are right next to one of the great dive sites in the Maldives (Lankan Point, a major manta feeding station). Also, the proximity to Male will reduce transfer time eating into your holiday time for the relatively shorter stay of 5 nights. Hi Bruce, thank you very much for this very useful & informative blog. I am planning my husbands 63 years old birthday in June. since our flight arrives just before 9 PM, we wish to stay in a hotel that does not require a transfe by seaplane. My husband would love snorkelling/scuba-diving. All that I hope is unblocked Seaview & not noisy. After much research, it seems our choices are limited to (1) Baros -highest rating (2) Taj Exotica – lovely design with bath room overlooking the Seaview (3) One & The Only (4) Coco Island-with snorkelling & scuba-diving/fishing & dining on the Dhoni. Which one would you recommend? Grateful for your thoughts. All four of those are excellent properties. Each of them has a completely different vibe and strengths. Baros and Cocoa have snorkeling from their beach, while Reethi and Taj require a short boat trip. Baros and Cocoa are tiny, while Taj and Reethi are quite a bit bigger. All will have virtually identical scuba diving. Reethi will be considerably more expensive while Taj will likely be the best value. Lots of small differences that entirely depend on your individual preferences. When people have a shortlist, I often recommend that people read through my “Best of the Maldives” post and see which distinctions appeal to them most. HI Bruce – thanks for your message on trip advisor. I am considering a water villa with a slide at Soneva Jani for a family of 4 but its coming just outside of our budget – can you recommend any other hotels that offer OW rooms with a slide around the £1,500-2,000 per night range? The other “Soneva heritage” resorts (Gili Lankanfushi, Six Senses Laamu) also have water villa slides, but only on their biggest residences. i have few questions that i would need your help in !! 2- is it worth the money to spend on sunset villa ? or we go for a sunrise villa? 3- a lot of people are advising me to take the sea plane as the experience is amazing – what about the boat trip? 4- what are the activities that we can do in Maldives ? beside snorkeling , diving .. is it true we can do island jumping ? 5- i am not sure if there is an ideal resort , where the island is big enough , a lot of good activities and nice ambiance at nigh yet its an amazing site for snorkeling !! Dee – Glad the site is useful to you. 1. Anantara Kihavah, Maafushivaru and Kandolhu comes to mind for the mixture of white sands and fine snorkeling. 3. The boat trip is just fine…but the seaplane ride is indeed *amazing* (but it’s also pricey). 4. The activities found in the Maldives are boundless (though each island only will offer a few select activities) – http://maldivescomplete.com/maldivesv/Best%20Of/bestof2.aspx. Resorts will often provide excursions to (a) uninhabited “picnic” islands, and (b) inhabited local islands. You can’t easily just visit another resort island (unless you break your trip into pieces staying for a bit at one and then moving to another). 5. There are plenty of big islands with lots of activities. The bigger the island, in general the snorkeling from shore is weaker (big islands tend to sit on the atoll edges on big plateaus, while small islands are intra-atoll dots with steep house reef drop offs). Take a look at Kuramathi and Kuredu who have quite sizeable islands with lots of activities and very good snorkeling. Which of the three Fihalohi or Kandoma or Olhuveli better for a family of 2 + 2 (aged 13/17)? Water Villa and Snorkeling are key factors apart from the budget. Krishna – I have only visited Kandooma (of the 3 you have listed) so it would be hard for me to compare them directly. Sorry. Me and my friend will go to Maldives on 26 June till 1st July 2017. We are still confused in which island should we stay? We are planning to stay on a budget guesthouse for 3 days then 1 night stay in over water villa. Do u have any recommendation? Some said we should go to Maafushi island cos it;s cheaper and all excursion activities offered at a super cheap price. Then we are looking for the cheapest over water villa with the cheapest transportation cost as well. I don’t really know much about the new guesthouse segment. I haven’t stayed in them and I haven’t researched them much. To save on transportation costs, you want to stay in the South Male (or maybe North Male) atoll. The cheapest water villas I know of in those atolls are at Embudu (it is a lovely little resort too…I stayed there last summer). I am looking at a 4 star property and a water villa. i would like to see animal life of turtles, sharks and sting rays. Ideally would not like to take the plane as it increases cost. can you please help, ill be very greatful. Kanika – Turtles, sharks and sting rays are all among the most common creatures in the Maldives. I would look at a place like Olhuveli, Bandos or Embudu which are 4 star resort with lively and easily accessible house reefs within a speedboat transfer of Male. Thanks so much for all of your helpful information. My fiancee and I will be going to the Maldives for the last week of September this year (so in less than 3 weeks….!). Our priority is scuba diving. We are looking to be as budget-conscious as possible (I do not want to pay over $250 per night), and really could care less about amenities, food, drinking, etc. All we want is the best diving possible for our stay. We’d like to be semi-close to Male to maximize our time (but preferably far enough to not hear planes). And we’d just like to be in the water as much as possible. Considering that we want to be budget-conscious and as much accessibility to the best reefs as possible, what resort do you recommend? Lu – Your budget with limit you most of as there are very few resorts at $250 or less. Being close to Male (or at least in the North or South Male atolls will both reduce some time spent transferring, but also eliminate what can be an expensive charge for a seaplane transfer. Frankly, the *best* diving spots are scattered all over the north and south Male atolls. You will taking boat trips to get to them. There is no one cluster of superb dive spots that you can get a resort next to. I would look for deals at the value priced resorts like Olhuveli, Club Med Kani, Summer Island, Centara Ras Fushi, Cinnamon Dhonveli, Embudu, Rihiveli. Similarities: Large islands, not really a house reef (so you take a boat to snorkel spots), value-priced, older properties. Differences: Sun Island – South Ari Atoll (which some claim is better diving, but at least has the potential to see nearby whale sharks), bird sanctuary, jungle restaurant, huge spa facility. Paradise Island – run by Italians which gives it a lively vibe, generous snacks set out in afternoon and evening, sporty (squash courts, golf driving into lagoon, beach tennis). I am trying to book a holiday for myself and my daughter who loves snorkelling. The following hotels are within our budget Adaaran Select Hudhutsn Fushi and the Adaaran Select Meedhupparu what would be the best option for snorkelling. thanks. Meedhupparu is much better for snorkeling. Hudhuranfushi is on an atoll-edge plateau which makes for difficult snorkeling on the outer atoll edge and in general the access is considerably further away from the beach. Meedhupparu is an inner atoll island so it is a round island with a house reef dropping off quite close to the beach edge. Hi bruce! Question about the bioluminescent beach in maldives, is there a specific season where you can see them often? Planning to go this june with my family. For first times, would you suggest we stay in a resort that has a good reef or marine life? Or is there a resort that offers both? Thanks! Ken – First and foremost, do not get your hopes up. I have been travelling to the Maldives for 20 years and I have never seen the bioluminescent beaches. They are a bit like the Northern Lights…a lot of things have to be in alignment. Also like the Northern Lights, you need a very dark night for the luminescence to be more visible (ie. New Moon). Remember, the photos that you have seen on the web have been enhanced with long exposure shots and a bit of Photoshop colour tuning magic. The other thing you need is lots of plankton (they are the things making the light). Plankton blooms vary by place and time. I’m not sure how predictable or seasonal they are. In short, I would choose your resort on considerations other than bioluminescence and then just stroll the beach every night in hopes that you are blessed with a sighting. I definitely recommend “marine life” over “good reef” these days. The Maldives are still recovering from water temperatures of El Nino as well as the COTS problem a while back. As a result, the coral is not in its greatest glory even on the best reefs. Some reefs have been hit a bit less than others, but it is hard to confidently determine which ones those are (even Maldives experts don’t get to revisit dozens of reefs each year to get an updated check). Your blog is so informative & helpful. 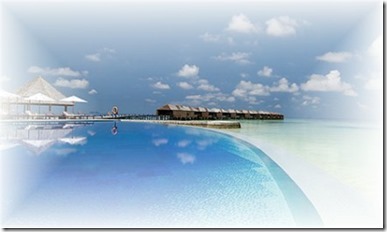 We will be there on July staying at the Maafushi….Ocean beach hotel for 6 nights. 1) Full day Excursion to one of the Resort Island near Maafushi to experience the real luxury & beauty of Maldive resort. 2) Snorkeling…. hopefully with lots of varieties of fish and / or turtle. Would highly appreciate for your guidance on which is the best place to choose. Jimmy – Thanks for the kind words. Your choice of resort to visit from Maafushi will be entirely dependent on which nearby resort (if it’s not nearby you will struggle to get a boat transfer to take you) will allow daytrippers to visit. Most resorts to do allow people to visit from other islands. Maafushi is somewhat near Male and some of the resorts closer to Male do have a visitor protocol (you pay a day fee) mostly in response to demand from the cruise market which stops in Male. I would pull up a map of the Maldives resorts, see which 3-4 star ones are a 15 minute boat ride north of Maafushi (ie. closer to Male) and email them to see if they permit visitors from other islands. We are a family of 6 from Norway who love sports: surfing, snorkling, any water sport really. Our kids (not really kids anymore) are 15 to 23, so we do not want to go to a island for families with very young kids. Not so close to Male so that we hear airplanes /noise/see lights, but not more than an hour away (boat/plane) . Not to crowded. Not the tinyest island, but something you could do a little walk on. Water villas. Lots of criteria I am trying to cram in, as you see. Any suggestions? 1. Surfing – Surfing is a good criteria because it trims the list down to 19 resorts. Of these, Centara Ras Fushi has the best traditional “drop off” house reef, but Hakuraa Huraa has a stunning coral garden lagoon. In general, great surf resorts are on the outer edges of the atoll on long plateaus which do not lend themselves to great house reef snorkeling (you certainly don’t want to be snorkeling on the rough, surf side). But that’s fine because you can take short jaunts to great nearby reefs for snorkeling with snorkeling excursions the resorts lay on daily. I don’t know what your budget is, but Landaa Giravaaru is nearly twice the price of the others. Kani is a very “family” oriented resort and there are indeed a good number of small children, but there are lots of honeymooners and adults and we have never felt that the children we that significant. An outstanding buffet. I would do some checking out of the websites and pricing of the short list and see what appeals to you. Thank you for your help! I’ll look into these right away. One last question: if one would stay at a resort close to a surf resort, but with a better reef for snorkling, is it possible to go to a surf resort for the day? Thank you so much for all the information! I’m trying to narrow down between Vilamendhoo or Komandoo for 10 days in July. They are very similar in price for the overwater villa but both look to be a bit dated? Our main objective is to snorkel right off the beach, relax and eat yummy food & drink! Can you recommend one over the other or make another suggestion? I appreciate your time and valuable input!!! Vilamendhoo and Komandoo are both super resorts with excellent and very accessible house reefs. In order to “snorkel right off the beach, relax and eat yummy food & drink”, you are really splitting hairs. I always recommend that when you get a short list this tight in comparison all you can do is browse their websites, browse their Best Of the Maldives pieces (http://blog.maldivescomplete.com/tag/vilamendhoo/ , http://blog.maldivescomplete.com/tag/komandoo/ ), and browse their TripAdvisor reviews (remember to take the bad ones and the ecstatic ones with a grain of salt) and just get a FEEL for each property. At this point, you are really down to subtle and subjective distinctions. By the way, there is no wrong answer which ever one you choose. Dear Bruce: We love and deeply appreciate the helpfulness website u put together. Me and my fiancee are planning a liveaboard diving trip to the maldives and plan to stay 3 nights at a 1000ish usd/night, 4~5 star resort before the dive trip. We’d like to do some prewedding photos with a tripod ourselves as well as try our hand at underwater freedive with white dress shoots with my camera in a dive housing (and me in scuba gear) so would like to find a resort with easy access to Male but quiet, snorkel depth 3~10 meter depth with easy access preferably right off the villa deck, and great sunset/land backdrop for photo shoot. Any input would be great!!!! Wayne – Thanks for the kind words. The resort that comes to mind is Coco Bodu Hithi (in price range, in Male atolls, good reef for shooting, no seawalls for vista, inner atoll for reef and calm water). Thank you for your prompt reply!!! We checked out Coco Bodu Hithi and think it would b great for above water and under water photo shoots~ If we may pick ur brains a bit more, what resort would come to mind if we had 2x our previous budget to burn :)? The resorts in the Male area at that price point with a good/accessible house reef would include Huvafenfushi, Four Seasons Kuda Hura, and Cocoa Island. Also, in that price range, I find Velassaru especially photogenic both on the island and the expansive lagoon surrounding it, but it doesn’t really have a house “reef” per se (just sandy lagoon with coral croppings). We just happened upon your blog and have learned so much already! We just booked air for our first Maldives holiday, but USA agents are not too familiar with it. We arrive on 10 April 2019 for 7 nights. Our top priorities are: 1) Excellent house reef for snorkeling & diving, 2) Premium all-Inclusive with quality drinks & diverse dining, 3) A pool & good socializing. The resorts we’re looking at so far are: Kuramathi, Lily Beach & Centara Grand. We would appreciate your personal feedback on them and/or other resort recommendations. Please also advise pricing for said resorts. Cheers! None of those resorts will give you “undersea restaurant access” and only Lily Beach will give you a chance to see whale sharks. It is pretty easy to find premium AI, pool, tennis and fishing. If you want accessible house reef, undersea restaurant and whale sharks, you are really pointing directly at Conrad Rangali. I don’t have direct access to pricing, but most website publish their rack rates on their websites. I am planning a trip from NYC to the Maldives in early Feb, 2019 for 7 or 8 nights. I would say my 2 most important considerations would be quality house reef…one either not as damaged from the El Niño a few years ago or one making nice comeback…and cost. I know all quality Maldives resorts (and I do want quality) are not cheap. Just trying to keep it within reason…750 or under per night for 2 including meals…500-600 would be even better. Other considerations would be water skiing with calm water and tennis. Any suggestions would be greatly appreciated. In reading your other responses, I see that you recommend coming up with your own short list which I did. I decided i also wanted an otw bungalow or villa while still staying close to budget. I came up with three so far: Vilamendhoo, Kuredu, and Meeru. I love Meeru for having so many activities on both land and water, but I think there may not be much of a house reef so at this point i’m leaning towards the other 2. I would love to hear your opinion or any other suggestions that fit my criterion. Reading through this page was quite an education in itself! I appreciate all the time and effort you’ve put in to help others like me. Randy – Apologies for the delay of response. I’ve been quite busy planning my own tour of the islands (I am there now, at Makunudu). Unfortunately, it is very hard to confirm which house reefs are least damaged by El Nino and COTS or which are making the best comebacks. My knowledge of the Maldives goes back two decades, but all of those house reef snorkels are obsolete past the recent few years now. Lots of discussion on the forums about places where the coral is stronger, but no real consensus that I can determine. Some sense that the southernmost atoll (ie. Seenu or Addu) has fared okay, but I can’t vouch for it. Plus, Addu doesn’t have any resorts with the classic drop-off of an intra-atoll island (all the resorts are on the edge of the atoll). Your budget is on the value 5-star or good 4+ star range for which there is lots of choice. Of your short list, Vilamendhoo has the best house reef. They also have a tennis court and water skiing. Thanks so much for sharing your experiences! I found your blog on Tripadvisor and I am reading everything, it’s amazing! Could you help me please with a recommendation for a resort? I am travelling for the first time to Maldives this August (we still haven’t booked). We are a couple (late 20s and early 30s) and we are looking for a resort that is not too big, crowded or with lots of kids. We would love to snorkel either there or with tours. Hey Bruce, we are a couple in mid twenties. we are headed to maldives on the 1st November for a 4 nights trip. We are looking for a combination where we could stay at a decently prices beach bungalow for 3 nights and 1 night exoerince the water villa at a different resort but nearby to the first one. We are on our babymoon hence dont want to diive but snirkelling with some fun activities indoors and a romantic spot would be preferred. For the 3n stay our budget is about 250 USD a night and for the water villa stay at a good resort we could extend the budget upto 400- 500 US. Can you suggest. Hershey – 250 USA per night is extremely low for the Maldives. For starters, I would stay in the Male atoll (North and South) to (a) avoid the expensive seaplane transfer, and (b) avoid the extra time a seaplane transfer usually takes since your stay is relatively short. There are some very good value priced resorts in the Male area – Makunudu, Summer Island, Centara Ras Fushi, Olhuveli, Embudu. All of those will be a pushing your budget (you didn’t specify if the budget was just for the room or room and board or room and board and everything else like drinks, activities, etc). Different resorts and different operators often have deals, offers and specials if they have a bit of excess inventory. I would recommend shopping around asking about those resorts and see if any come up with a bargain that fits your price bracket. My husband and I are looking to visit the Maldives for 10 nights Jan/Feb 2019 for our Honeymoon. We have a budget of £4000 (to also include flights and spending money) and are currently trying to figure out which island to stay on and the best accommodation for us. We love sea activities but also want it to be peaceful and romantic. Please can you help us in our search? That’s a fairly tall order. Flights from the UK that time of year (with taxes, transfers, incidentals) are going to eat up about £1000 for each of you leaving £2000 total for the two of you for 10 nights (£200 per night). February is (a) the highest season (most expensive and busiest), and (b) it is only a couple months away (people often book the Maldives up to a year in advance). As a result, recommendations don’t really matter. What matters is whether there is *any* rooms available for that price left. OBLU Select is a very attractively priced brand new resort and they might have a slot in February for you. Malahini Kuda Bandos is delightful and probably just comes in your budget. Maybe even Meedhupparu (but I haven’t stayed there so I don’t really know much about it). I don’t want to waste time and money on seaplanes and islands far away from the International Airport. So after reading your blog and what people have discussed above,i think i would like to visit either BANDOS OR EMBUDU, Both the properties look good for me, What i want to ask is what would be the charges for Water sports activities like Scuba or snorkelling or night fishing as they mention ( if you can give me a generic idea about this ) Also i would like to ask if all the resorts charge any extra fees amount for the usage of the facilities like Spa and Gym or Lawn Tennis and Table tennis @ the club house at the Bandos for that matter…? Saumit – Most resort provide use of gym, tennis and table tennis and unmotorised water sports like paddleboarding or kayaking for free. I don’t recall the details for Bandos and Embudu. Scuba, spa, night fishing and motorised sports will definitely be charged. I would email the resort and ask for the latest prices. Could you please recommend which island to stay at for a romantic couple getaway? Travelling end of February for 5-7 night stay. From airport: prefer speed boat transfer. All offer All Inclusive, but I suspect that only Centara Ras Fushi will meet your budget. They do have some night life and they are all ocean villas. We are a family of 4 travelling to Maldives first week of April. This will be our first visit to Maldives .My husband and my sons ( 19 years and 15 years) are marine aquarium hobbyists and my sons want to take scuba diving lessons. After reading through your blog and keeping our budget ( since we want to take two water villas / bungalows) in mind we were thinking of Vilamendhoo . But the question in our mind is along with a good house reef and marine life will it also be a spot for colourful corals. Please advise us on same .If in your opinion we could get to see better colourful corals and diverse marine life in any other atoll / resort please advise .. accordingly we could cross our budget to a certain extent..
Vilamendoo has an excellent house reef. Probably in the top ten for the Maldives. Be aware that warming ocean temperatures, El Nino and COTS has had a huge impact on the amount of “colourful corals” across the entire destination. The “marine life” of fish and other animals (eg. turtles) is still very vibrant. I highly recommend doing the classroom portion of the scuba diving course (PADI) somewhere at home. It will be cheaper and you won’t be spending a chunk of your holiday sitting in a classroom, Courses allow you to just take the classroom bit somewhere and then go on your certification dives somewhere else. Maldives is a great place to do your certification dives. Our family , 2 adults and 1 teen (12). would like to go to Maldives in the coming August. We plan to spend 5 days 4 nights in the resort. This is our first time travel to Maldives, so we have high expectation for the trip, especially to explore the underwater live. I have looked at quite a number of the resorts and read the reviews as well, and it is really difficult to come up with an decision. Besides, our departure flight back home, will be late 21:00. So we prefer a resort that can allow us to stay late on the last day. As I have read some reviews stating that some resort asked the visitors to leave early, due to the schedule of the transfer, and they had to wait in the airport for 5-7 hours. If in this aspect, can I still consider resort which requires seaplane, or domestic flight transfer? Some of the choices includes: Oblu Select, Centara Grand, Vakarufalhi , Mirihi, Amari, Outrigger, Carpe Diem…. Which one are the best? Most valuable? or any other suggestions. If it is hard to tell the best, please at least let me know which one is not a good choice. I do like Vilamendoo, however its villa not allowed child aged 12. Really appreciated if you can give me some advice. Thanks in advance. I only have visited Vakarufalhi and Mirihi. Both are reknowned for their great house reefs that are very easy to access. Both are also in the South Ari atoll so you have the possibility of trying to go see whale sharks which is amazing. I’ve not been to Carpe Diem, but it is one of the most impressive new entries in the affordable luxury class so I would check that out seriously as well. Mirihi is very good, just it’s excursions are very costly. Their whale shark excursion is more than USD200 per person. If you have more information of Carpe Diem , pls do share , would like to know their house reef condition 😊. I don’t have much more info on Carpe Diem. Best to check their website and some of the early TA reviews. Whale Sharks trips are all costly, but it is a once in a life time experience (but there is no guarantee to see a whale shark either). Sorry for the delay of the response (been travelling). I would look at Olhuveli or Kurumba (if you don’t mind being near Male). Mel – Your criteria are wide open and a couple dozen resorts would match what you have listed. The most important consideration is price. What is your budget? Any other criteria?